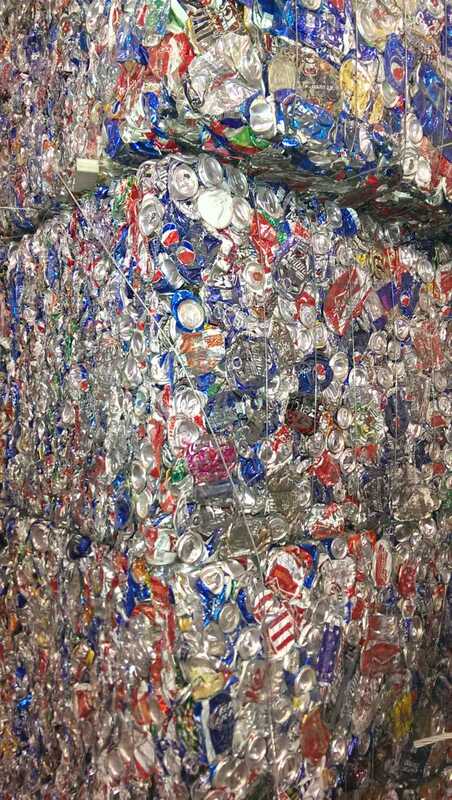 Aluminum Cans - Ace Steel & Recycling Inc. Ace Steel and Recycling can help you turn your trash into cash, and we want your aluminum cans! Once you bring them to our facility, we compress them into 4 x 6 ft "bales" weighing around 700 pounds each, which allows us to handle product and ship it more efficiently to the smelting centers. Once there, it's shredded, then "de-laquered" to remove paint and other materials before being heated to 1400 degrees, resulting in molten material. The molten metal is poured into molds to form "ingots", which are solid bars of alumium weighing up to 40,000 pounds each! The ingots are eventually flattened and rolled into sheets of material suitable for rmanufacturers to use. The recycling process for aluminum is remarkably efficient, as it provides an astounding 95% energy savings over the mining and processing of new aluminum. It's also a relatively quick process; that can you sip from during a backyard barbecue could end up recycled and back in your fridge in a matter of months! Sadly, only around 65% of aluminum is currently being recycled here in the United States, which means far too many cans are still winding up in road ditches, landfills, and other places they don't belong. At Ace Steel & Recycling, we're not satisfied with that. We think there's plenty of room for improvement, and we're working hard to get there, but we need your help! You can become part of the solution by collecting cans and bringing them in to us. We'll send you home with cash in your pocket and the satisfaction of knowing you did the right thing by recycling. We can pay the most for cans that are clean, dry, and free of any other materials, so please keep that in mind when you bring your collection in. You'll drop them off at our dock, where our staff will weigh your deposit and then punch out a ticket for you to redeem at the front desk. It's that simple! 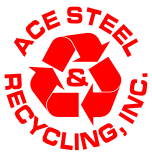 Go green, and get some green, with Ace Steel & Recycling! > An aluminum can that is tossed in a landfill will still be there five hundred years from now! > In the US alone, we use over 80,000,000,000 aluminum soda cans every year. > Recycling aluminum cans saves energy - just one recyled can saves enough energy to run a TV for three hours. > More aluminum goes into beverage cans than any other product. > There's no limit to the number of times aluminum cans can be recycled! Get in the game, with Ace!